Video: Apple unveils its new iMac, talks about Numbers "the prettier version" of Microsoft's Excel, and iMovie '08 where you can now directly upload your movie to YouTube. 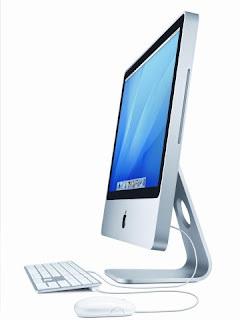 Can Apple and Jobs really improve upon an already sleek design of its iMac? Seems to be that he can... Check it out here.